Interoception (another aspect supporting the larger practice of mBraining), is the ability of how we perceive our internal state of the body's internal sensations. With training and practice, we can improve our accuracy of how good we are perceiving our internal sensations. But what would we discover? For example, with a practice focusing on the heart, we can enhance our awareness of our heart's information and even synchronize (and sense) others' feelings. Something neuroscientist Dr Alan Watkins discovered in 2004, when he realised by focusing on the heart and breathing in a specific way, we can tune into other peoples feelings, sensing their emotions, as well as our own. Will improving your interoceptive skill be your New Years Resolution for 2019? As Alan Watkins stated at TEDxOxford 2015, if we can objectify and identify our own subconscious feelings and sensations, we can control our emotions, rather than feeling a victim of others behaviours. If we can control our emotions, ultimately we can control our health (epigenetics). . . and, control our lives. 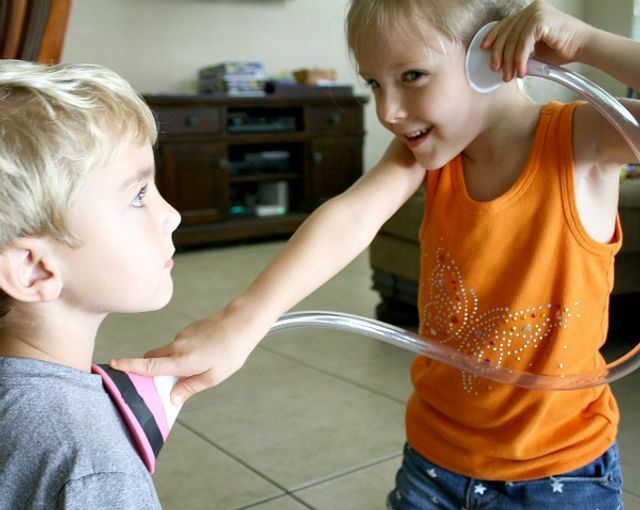 Take a stethoscope (or a children's toy stethoscope as long as it works), and simply sit and relax for about 10 minutes and listen to your heart beating. The first time I did this, it blew me away. The sound of my heart beating, I found was exceptionally humbling and relaxing. Note: if you don't have a stethoscope, you can make a DIY stethoscope with two small funnels and a piece of pipe. Understanding why you feel what you feel is one of the most important aspects of human development. After understanding comes control. When you control your emotions through vertical development, you can be more successful and happy. We’ve all seen adults behave like children and ‘throw their toys out of the pram’ if they don’t get their way. An inability to control emotions prevents us from growing up and becoming mature successful human beings.